USB only extends 15 feet, while that seems like a fair distance, it ends up being limiting in certain applications. 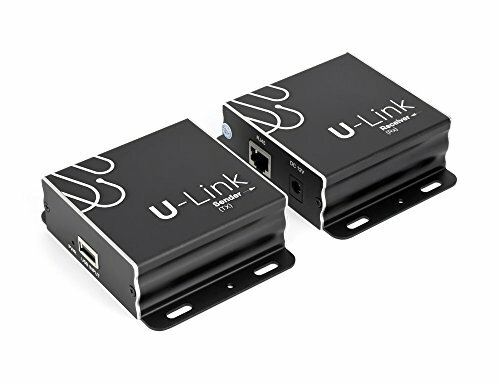 There is a wide range of applications for the U-Link like setting up an inexpensive security system using USB cameras, connecting to scanners or printers in another room, or industry specific applications such as medical diagnostics and imaging, conference rooms, and digital signage. Installation is easy. Simply connect the included power adapter and the included USB 2.0 cable to the host computer unit. Then connect the sender unit to the receiver unit using any cat5e/cat6 cable (sold separately). The U-Link can then be used with any four USB devices.